SS Carroll Victory crew climb aboard their rented truck to tour Palestine. Courtesy Charles Lord. 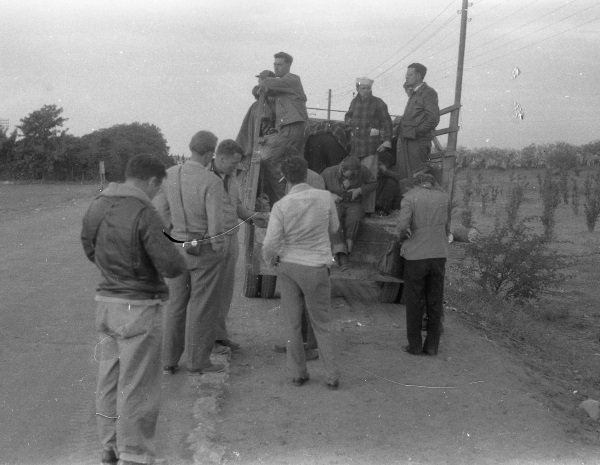 SS Carroll Victory crew climb aboard their rented truck to tour Palestine.